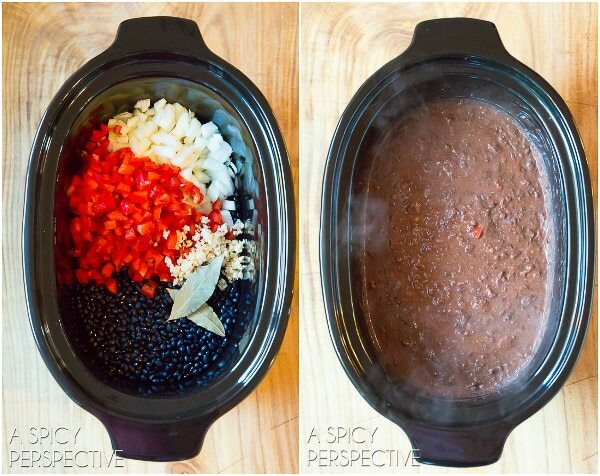 I’m serving up my favorite Slow Cooker Black Bean Soup Recipe today. The easy mid-week meal is light, healthy, and ridiculously comforting. You’ve got to try it! Life has a way of changing us. As we move through various seasons of triumphs and sorrows, personal development buries its roots in some of the most unassuming aspects of our lives. For instance, when I was a young cook, I would spend countless hours creating ultra chefy meals. 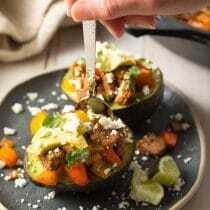 I didn’t realize it at the time, but I needed to excel, so desperately, that I strived to make sure my dish was always the most elaborate, well-plated, and unusual at the table. This was a fun time of creative growth and learning. Yet my need for success, even on the dinner table, was deeply rooted in a desire for approval. Jump forward a couple decades… My cooking knowledge has grown profoundly, yet I find myself making simple dishes most of the time, without a lot of glitz or glamour. Why? As I grew in knowledge and experience, I no longer felt the need to prove myself to anybody. Fear of judgement no longer controls me. I find this to be true in many areas of my life: Marriage. Parenting. Business. Time, experience, and a few hard-fought battles tear down insecurities and expose a bloom of confidence. Confidence is beautiful, don’t you think? So today I’m confidently sharing an easy Slow Cooker Black Bean Soup Recipe that I know you will love! Admittedly, this black bean soup is low on visual appeal. After all, there are very few attractive brown foods out there. However, this humble bowl of soup makes a perfect low-maintenance meal for winter months. Slow Cooker Black Bean Soup Recipe is packed with veggies, herbs and spices, then pureed into a rich porridge. The secret ingredient that makes this black bean soup recipe a stand-out is Frank’s RedHot Sauce. This classic cayenne pepper sauce mingles into the soup, giving it spicy depth, without overpowering the other flavors. It fills and warms your belly, without expanding your waistline! 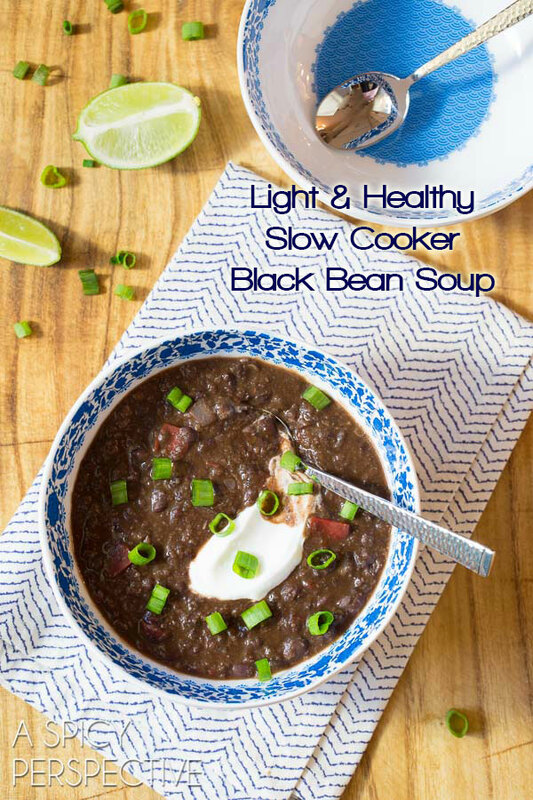 Light on fat, calories, and junky ingredients, this fabulous Slow Cooker Black Bean Soup Recipe might easily fit into your new year diet. It happens to be vegan, gluten free, dairy free (if you don’t add the sour cream on top) and made entirely of whole foods. Bonus, this black bean soup is made in the crockpot! 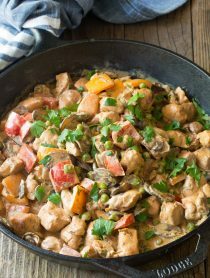 So you can throw everything in the slow cooker first thing in the morning and dinner will be ready when you get home in the evening. I’m confident our Slow Cooker Black Bean Soup Recipe is going to be one of your new favorite go-to recipes this winter. Give it a try! 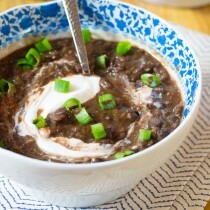 Slow Cooker Black Bean Soup Recipe. 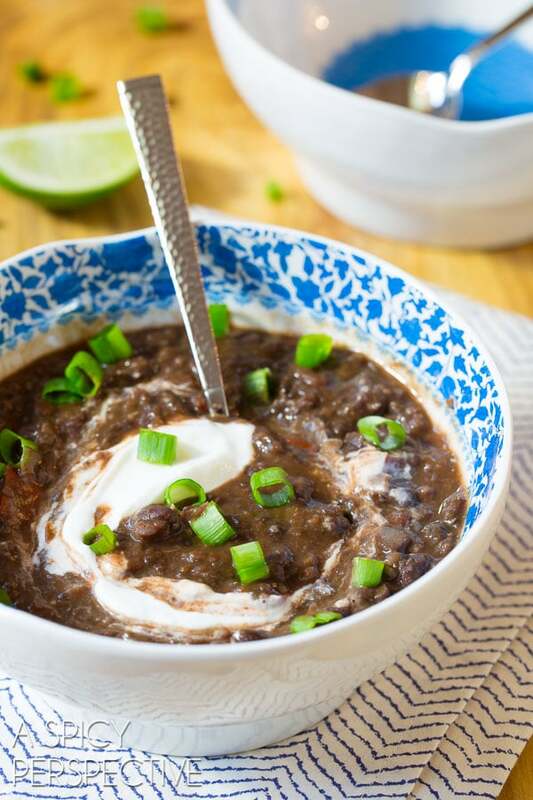 Light and healthy, yet bursting with flavor, this black bean soup recipe is an instant family favorite you’ll make again and again! Once the beans are tender, remove the bay leaves. Use an immersion blender to blend the soup until two-thirds of the beans are pureed and the soup is thick. Salt and pepper to taste, then serve warm with fresh toppings. NOTE: Slow cookers vary in temperature. I have three and they all take different amounts of time to cook the same recipe. If your crockpot tends to be really low heat, turn your slow cooker on high to make sure the beans are tender. Definitely go with low if you want to cook it all day. Happy Cooking! This was delicious!! There’s a restaurant we like that makes a black bean soup that is very similar to this, then they top with sour cream, diced tomatoes, and crispy tortilla strips so that’s what we did and we loved it! Plus, I calculated that the whole crock pot only cost about $6, that’s the price of one bowl at that restaurant haha. Thanks! Thanks for the inspiration. In Germany (where I live) glutenfree dishes are not very well known. Hi Sommer. Thanks for the great recipe. We are stormed in- and I am out of dried black beans. I made this with 5 (19oz) cans of rinsed black beans, 3 cups of water, and the rest of the recipe as written. It is great! The nutrition, and flavour is probably even better using dried, so next time! Thanks again. I am looking forward to making your Lo mein next! 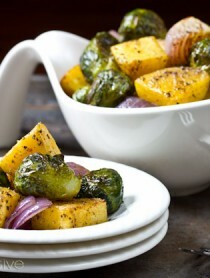 I love everything about this, so hearty and delicious! This soup looks so yummy! 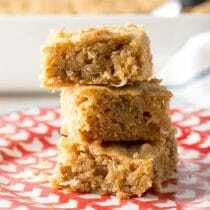 I love that it is easy but doesn’t take any shortcuts and uses dried beans. Can’t wait to try it! I love this, knowing you have great bowl waiting and ready to go after a busy day is the best! Perfect for a cold winter day – love it! This is such comfort food to me, I love a good black bean soup and to have my slow cooker do all the work makes this recipe a winner. And I have never been one to resist hot sauce! style. Low calories and healthy is top of my list like everyone else. So perfect! I can’t wait to try this recipe! yum. Not gonna lie. I wasn’t sure I’d want to try this. After reading and seeing you somehow turn brown soup into something completely gorgeous, I’m sold and will be making it soon! I love soups and stews this time of year! This sounds delicious. Ohh I love black bean soup and totally agree with you on the fact that my meals these days are far less complex. No need to prove my cooking skills to others. My family all loves beans and this soup will fit very well into how we are eating for January. Amazing what a slow cooker can do! Love this soup!! This is such a thick, hearty & healthy soup ~ thanks for such a perfect winter recipe! If ever there was a time for black bean soup it’s in this freezing January! thank you for a wonderful and easy recipe! I am a huge fan of black bean soup!! 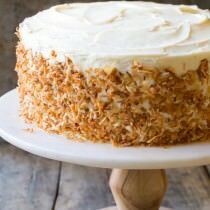 Totally making this version this week! Just made black bean soup last night and it was great. 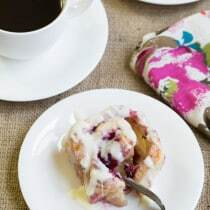 Can’t wait to give this slow cooker version a try especially on busy school nights. I would think this would freeze well once cooked, yes? I need to make a batch of soup this week. It’s so freakin’ cold out! Hadn’t considered black bean soup, but now that might just be what I whip together! I love black bean soup! Can’t wait to try it in the slow cooker. Love this hearty slow cooker soup! Great flavors! i love this post Sommer…I’m in confidence building mode right now, I think sometimes it swings with the seasons we are in that’s for sure! 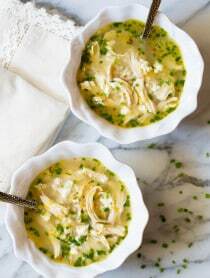 You should be confident about this soup – it looks delicious and I love your secret ingredient! !